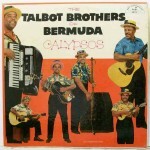 The Talbot Brothers were a Bermudian calypso musical group that shot to international popularity in the 1950’s. 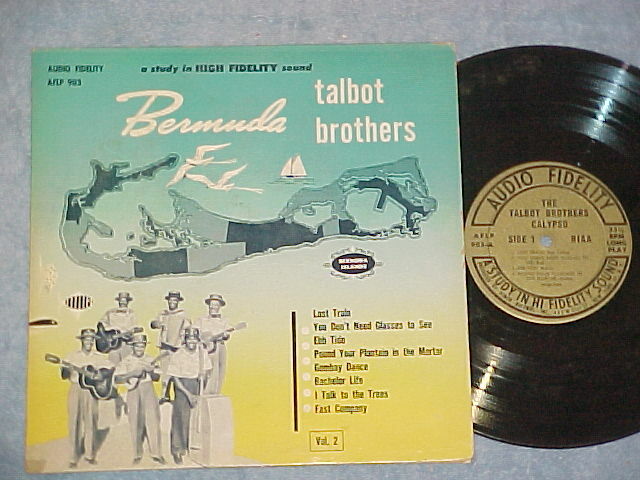 Born in Tucker’s Town, their father cut coral stone in a quarry, and their mother played organ in the local Methodist church. 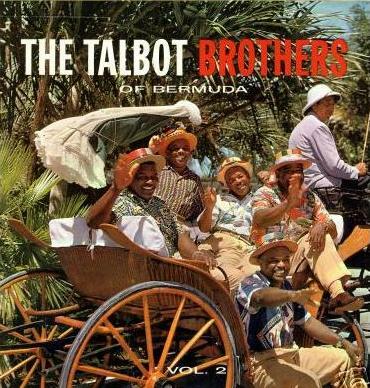 The Talbots organized in 1942 and became a popular attraction in local hotels. 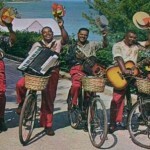 Soon their popularity with American tourists resulted in tours of the U.S. starting in the early 1950s. They performed and recorded cover versions of calypso classics in addition to many of their own originals. 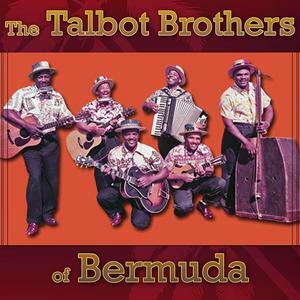 Notable was Roy Talbot’s home-made upright bass known as the “doghouse” or the “the Bermudavarius”. 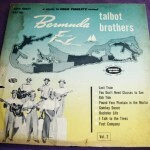 Roy created the instrument out of a large meat-packing crate and a single fishing line. 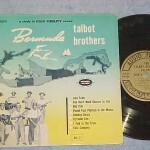 This item was a particular curiosity, and during the Talbots’ tours many of their fellow performers and visiting celebrities autographed the crate. They were frequent performers on television in the 1950s, appearing on Ed Sullivan’s variety shows and other programs. 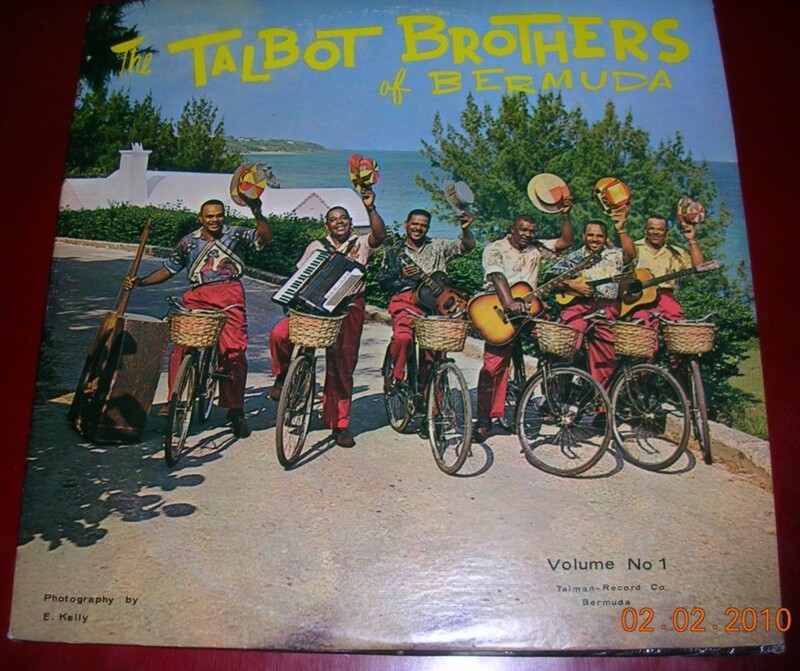 The Talbot Brothers stopped recording in 1962, but continued to perform until the 1980s. 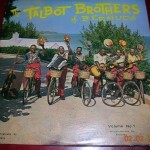 Bassist Roy Talbot, who died on May 15, 2009, was the last surviving brother. 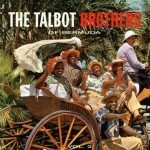 A commemorative book was released on the Talbot Brothers recently, containing photographs, their top forty songs on CD as well as a DVD. Visit the website for more info.